When you buy the Sanita Smart Step Solaris clog, you will get a black closed clog made in the best quality on the market. 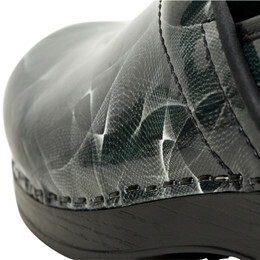 This clog is made of strong printed patent leather that fits the fashion trends. The clog is made with a PU (Polyurethane) sole, which together with the soft on steam insole and the distinctive Sanita shape gives maximum comfort, shock absorption and good durability. 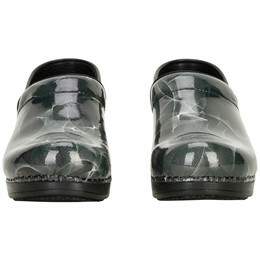 The Smart Step clog has an outsole which provides extra slip resistant due to its rubber coating.